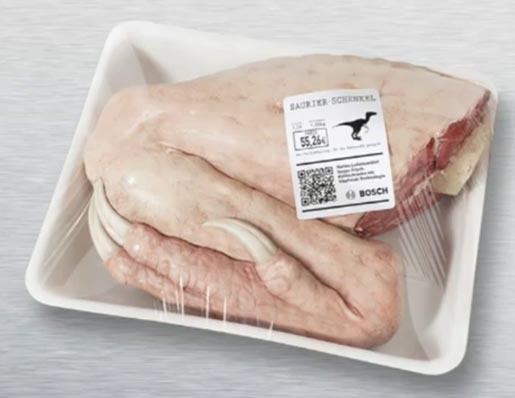 Bosch VitaFresh refrigeration technology keeps vegetables, fish and meat fresh for extremely long periods, a fact advertised with large stone-age meat packs in German supermarkets. 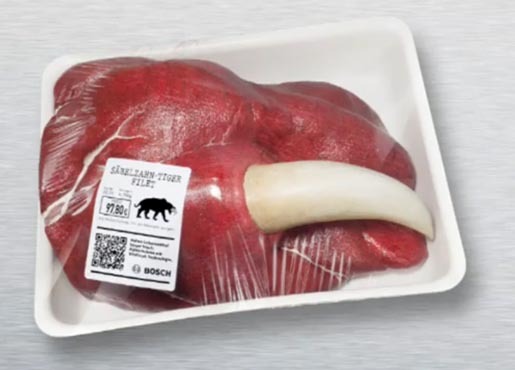 The award-winning campaign used fresh mammoth steaks, juicy dinosaur legs and tender sabre tooth fillets, with QR-Code, to connect with a web special, along with leaflets and announcements in the supermarkets. The campaign reached 75,000 people over six days in 24 supermarkets. The web special attracted 236% more visitors with a 530% increase in length of stay. 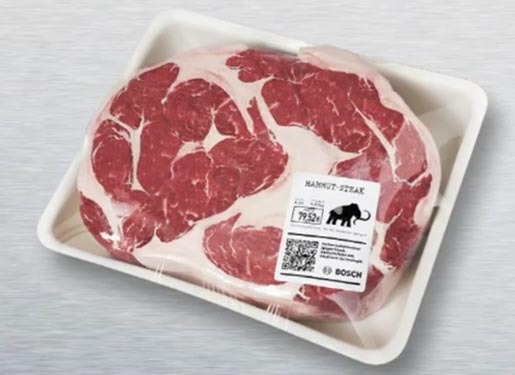 The Stone Age Meat campaign was developed at DDB Tribal Group, Berlin, by chief creative officer Amir Kassaei, executive creative director Stegan Schulte, creative director Birgit van den Valentyn and Tim Stuebane, art director René Gebhardt, art directors Björn Kernspeckt, Gen Sadakane, Wulf Rechtacek, art buyer Kerstin Kraus, account director Gesa Birkmann, graphic artists Anke Vera Zink and Sebastian Kamp, and photographer Szymon Plewa.